Memberships have included UK’s leading organisations: IoD, FSB, Leicester Chamber of Commerce, Minority Supplier Diversity UK (MSDUK), LIONS, The Thursday Club. Sameer became the Senior Partner and Owner of Douglas Wemyss Solicitors in 2008 and since has shown exceptional leadership and management skills in his ability to drive the business forward and take it from strength to strength. He has built this foundation through intensive networking and business development and brand promotion thus generating a significant client base led by his B2B networking which has helped ride the tide of the recession and cement forgoing relationships. Since his directorship, the firm has been catapulted to the forefront of its market, leading to increased brand recognition of the firm. Dubbed as a ‘Game Changer’ Sameer’s focus is on innovating and transforming methods of delivery and service. He has demonstrated the ability to take traditional concepts to new levels through innovation, bold concepts and a unique business model highly attractive to clients. In addition he also works closely with other professional services industries delivering seminars and generating an influential client loyalty. He is dedicated to working closely with both his team and his clients making sure that not just legal but also commercial objectives are achieved and amassed a loyal client following with the firm now acting for some of the largest businesses in Leicester, and his client base even extends to high profile businesses and entrepreneurial individuals some of who feature in The Times 100 Rich List and appear on Dragons Den. 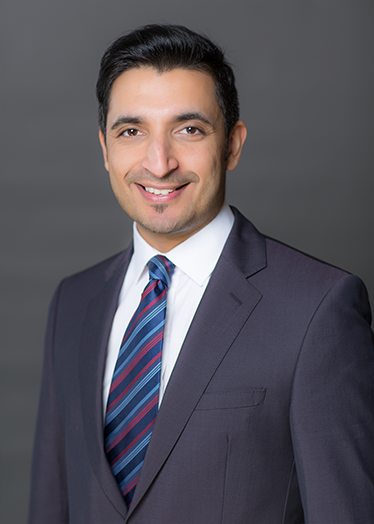 Sameer’s areas of specialism are civil and commercial litigation matters, specializing in contractual disputes, employment disputes and property litigation; often conducting mediations and arbitrations as alternative dispute resolutions. Sameer has further experience in business disputes, commercial debt recovery and director disqualifications. Ever keen to seek positive outcomes, he is quoted as saying “there is always a solution and it is my job to find it”.